The Riviera Nayarit and Puerto Vallarta displayed their excellent coordination and willingness to serve their guests during the Welcome Cocktail, Ribbon Cutting Ceremony and Gala Dinner for this magnificent event. The inauguration of the 2014 Gala Vallarta-Nayarit gave carte blanche access to the Riviera Nayarit and Puerto Vallarta to the wholesalers, airlines, hotels and everyone else involved in this, their 21st annual event. Representatives the states of Nayarit and Jalisco, including the Tourism Secretaries and the Hotel and Motel Associations, as well as Federal government representatives from the Mexico Tourism Bureau (MTB) were present at this important business and promotional event. The welcome address was offered by Fernando González Ortega, President of the Banderas Bay Hotel and Motel Association (AHMBB by its acronym in Spanish), who thanked the participants for their willingness to promote the destinations and encouraged them to continue with their efforts. He also made it a point to mention the great strides that have been achieved as far as flight connections to the destinations. “According to airport statistics there has already been an increase of over 10 percent in air seats and an increase of over 15 percent in visitors to the destinations during the first two months of 2014. This is without a doubt a strong indication of the fantastic synergy and efforts put forth by Vallarta and the Riviera Nayarit,” commented González Ortega during his speech. Both the Riviera Nayarit and the Puerto Vallarta convention and visitors bureaus were lauded by those present for their organization of this year’s event. The Welcome Cocktail and the Gala Dinner were a perfect example of the synchrony that permates the joint promotional efforts of these two destination, which is also in evidence in the true quality of the tourism products offered to visitors by both the Riviera Nayarit and Puerto Vallarta. The Ribbon Cutting Ceremony took place in the International Convention Center on April 3rd, which led the way to the official inauguration and the start of the business meetings that concluded on April 5th across more than 300 booths. 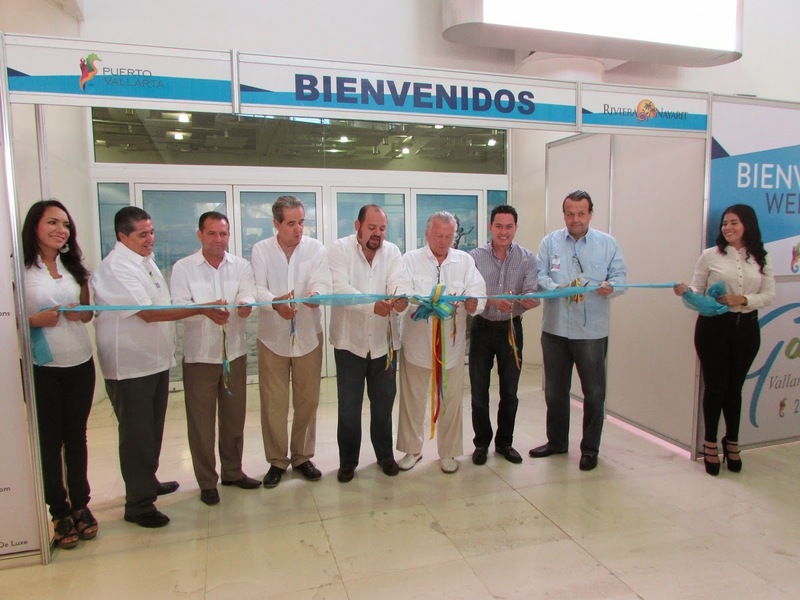 The closing event was held at the Puerto Vallarta Port Authority on Thursday night. It was a magical evening filled with music, vibrant colors and excellent cuisine, which gave the guests the extra inspiration they needed to bring their hard work to a successful conclusion.